Max Fried of the Braves pitches during a game against the Marlins on Sunday in Miami, FL. The Braves won 8-5. 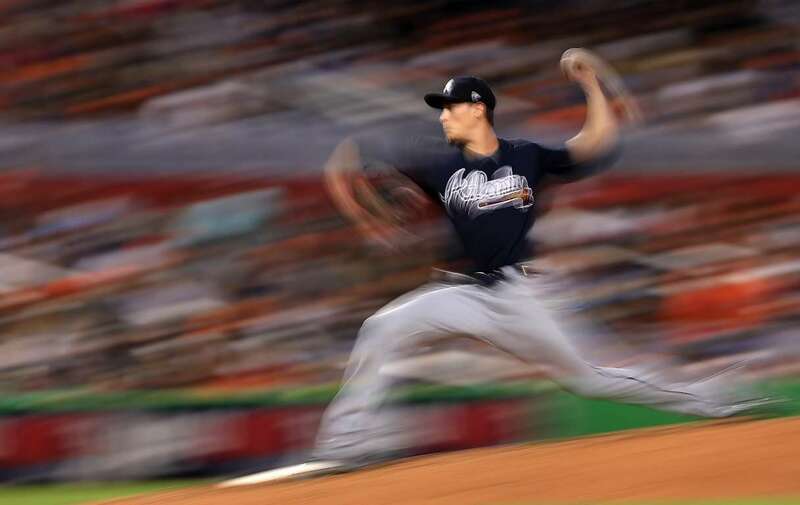 In a flash Max Fried of the Braves pitches during a game against the Marlins on Sunday in Miami, FL. The Braves won 8-5.